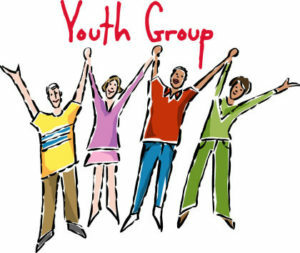 ST. JUSTIN’S YOUTH GROUP – COME JOIN THE FUN! St. Justin’s Youth Group Ministry invites all Grade 8 through 12 youth to become part of the “Youth Group.” We generally meet twice a month on Sunday evenings between 6pm and 8:00pm, in St. Justin’s Conference Room. Come join our community service group where we share our faith while doing fun activities. Join us for a combination of continuing formation in our Catholic faith with opportunities to put our faith into practice through service. Join us as we laugh, find hope, love & friendship in a Catholic Christian community! Being involved in this group is a great way to deepen your faith and develop friendships with others who share your Catholic beliefs. Some of our events are trips to Diocesan Youth Conferences & Great Adventure, also helping out other Parish organizations such as the Holy Innocents and St. Vincent DePaul. During Lent we portray a Living Stations of the Cross. Come join us for pizza, movie nights, game nights, and more! For further information contact Deacon Fred at: (732) 270-3980 ext 331, or talk to Deacon Fred after Mass.